Because we are blessed with a worldwide community of faith, we easily forget that today’s Church was built person by person, congregation by congregation, beginning with Christ’s ascension. 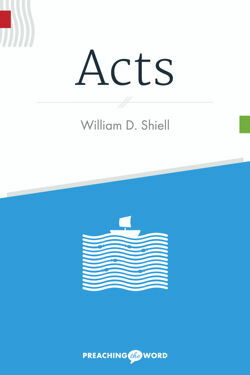 In this collection of sermons on the book of Acts, William Shiell examines the disciples’ efforts as they learned to share the gospel and foster character formation and fellowship. With characteristic insight, Shiell reveals how the resurrection of Jesus and the power of the Spirit disrupted cities across the Mediterranean—and how this message and Power are still capable of “turning the world upside down.” Finally, Shiell outlines ways the gospel challenges us as it crosses boundaries and changes lives, revealing our inherited calling to build a church for every people and every generation. Each volume of the Preaching the Word series consists of a collection of sermons preached through a book or books of the Bible. As in other commentaries, the author analyzes and seeks to interpret each passage. But Preaching the Word also exists as a testament to the Word preached, a homiletical commentary unfolding within a community of faith. Thus, this series allows us to approach the letters and histories of the New Testament as the first recipients did: as hearers of God's Word. William D. Shiell is the President of Northern Seminary in Chicago, Illinois, and has pastored four churches in Florida, Tennessee, and Texas. He is a graduate of Baylor University (PhD in Religion [Biblical Studies], 2003; MDiv, 1997) and Samford University (1994). He is the author of four books. Dr. Shiell and his wife, Kelly, have two sons, Parker and Drake. One of the earliest extant “commentaries” on the Acts of the Apostles is the collection of homilies preached by John Chrysostom, bishop of Constantinople in 400 C.E. In this first volume in the Preaching the Word series, Bill Shiell is situated in this long-standing tradition of plumbing Acts for its homiletical insights. Shiell’s attention to the rhetorical shape and social setting of this “foundational document” for early Christianity produces a theological treasure trove. 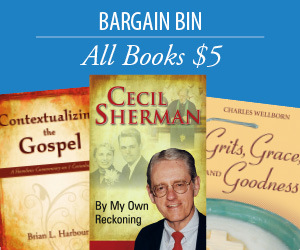 Acts joins that very small group of commentaries capable of informing seasoned scholars and, at the same time, edifying the person in the pew, seeking to become a more faithful follower of the Way. Dr. Shiell proves to Bible readers, preachers, and scholars that commentaries do not have to be dry and devoid of application. Many commentaries lead us down a winding and sometimes confusing scholastic path, but Acts blends the best of scholarship with practical insight to masterfully guide us through the grand story of the early Church. Dr. Shiell’s excellently written text is seasoned with dynamic narrative and accessible context in order to aid students of God’s word to gain a deeper understanding of early Christianity. I highly recommend adding the Preaching the Word series to your sermon preparation, Bible study, or personal library. When academics presume to tell pastors how to preach a text, the pastoral context goes missing; when pastors examine the texts of Scripture the academic research is often ignored. But when an academic is also a pastor and when the pastor is an academic, the two—text and church—can be brought together in a way that floods a serious grappling with the text with pastoral theology. Which is exactly what William Shiell, now President of Northern Seminary, accomplishes in this rich and textured new approach to preaching one of the New Testament’s great books—The Acts of the Apostles. This will be a mine for pastors for decades. Luke’s ancient words come alive with depth and clarity through the preaching and hermeneutical skill of William Shiell. In Acts, the reader is invited to experience the events of the burgeoning community of faith and to witness the expanding impact of Jesus’ resurrection on people, cities, and the world. While some teacher/preachers might be tempted to defer the personal application of the text, Shiell gently encourages the reader to delve more deeply into each account, challenging us to stretch our perceptions of the resurrected Christ and his impact on our lives and the churches from which we serve. Acts is a welcome, fresh resource for sermon study and preparation, for small groups and congregations desiring biblical foundation for their Kingdom service, and for the person seeking to more fully understand and live into their call and vocation.